Heavy Duty Cardboard Box Lid with 12" square opening. 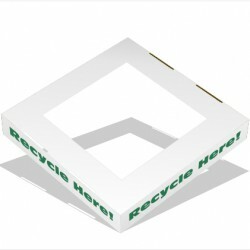 Printed with "Recycle Here" on all 4 sides. Designed by a graphic artist to be seen from any angle a person approaches the box. This lid helps to hold refuse in and to deter contamination. 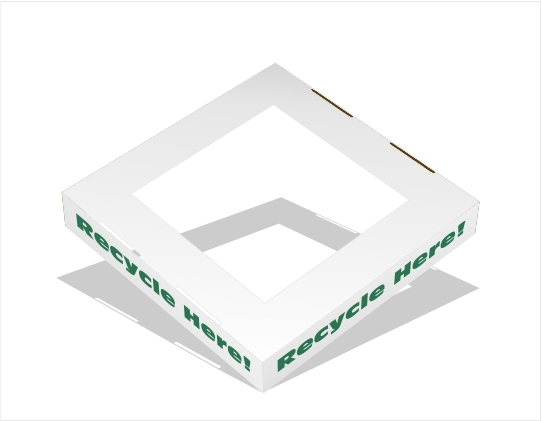 An inexpensive answer for determined recycling administrators and responsible people. Fits Keeptidy 18"x18" boxes of all heights. Select Color Choice before ADDING TO BASKET!! !